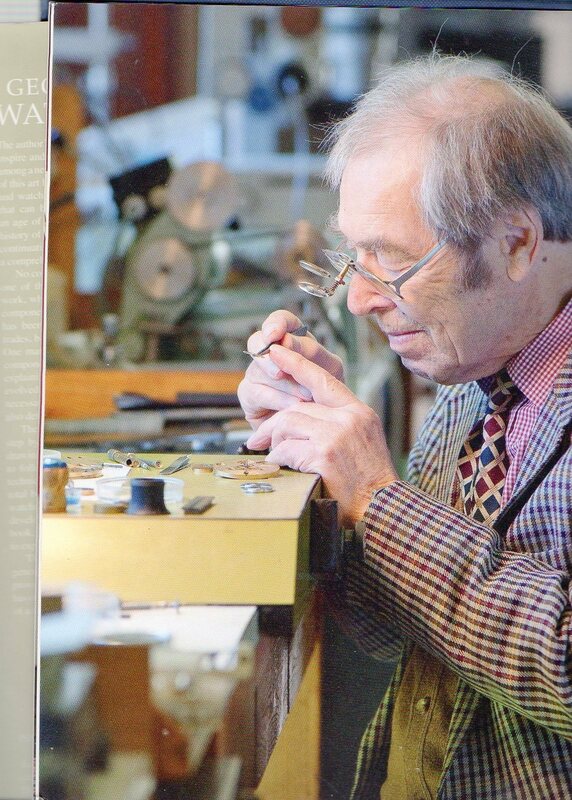 Dr. George Daniels is known as the ‘god of Watchmaking ‘ in the field of horology. 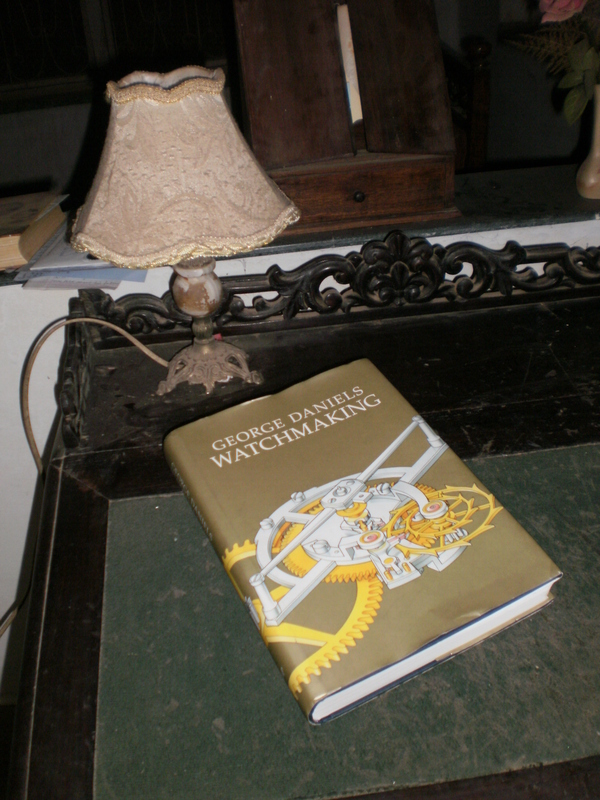 I came across Dr. Daniels’s book ‘WATCHMAKING’ in the early 1990’s. This is an all time classic in the field of watchmaking. The British Council library in Bangalore had a copy in its reference section. In those days we could borrow reference books on week ends with the librarians permission, on condition that we returned them first thing Monday morning! The book was a beaut, a real treasure and I ended up photo copying the entire book. The book dealt with every aspect of watchmaking , theory as well as practical details on how every single part was made …I mean literally! The book became a daily reference and I learned to apply the techniques on my newly acquired vintage watchmakers lathe. Soon I could turn balance staffs and make other small parts. I made inquiries about contacting Dr. Daniels, (those were pre internet days!) but had no success. The occasional news item in the British Horological Journal was my only way of keeping in touch with what was going on in the international arena of horology, and in particular mechanical horology. There were the occasional articles about Dr. Daniels sometime. He was known to be a recluse and the then Secretary of the BHI, Helen Bartlett was the only conduit to Dr Daniels who lived on the Isle of Man. Abraham Louis Breguet was one of the most famous watchmakers who ever lived and every one of his creations were masterpieces. Dr. Daniels was commissioned with the job of documenting and restoring many of Breguets masterpieces. He wrote another book titled “The Art of Breguet” where he describes some of Breguets watches and clocks. Dr. Daniels was also passionately fond of vintage cars and had a few really priceless specimens. He had restored them and actually took them out and raced them to make sure they were up to speed. 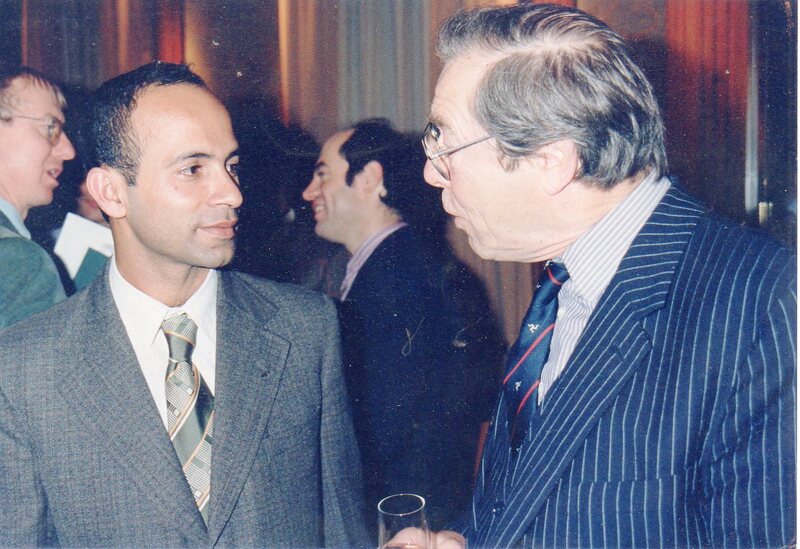 Some time in the late 1990’s I was invited to Switzerland by the watchmaking company Breguet. They were celebrating 250 years of watchmaking and there was a a gathering of about 2 dozen watchmakers from around the world. I was the only Indian. Imagine my surprise and delight when I suddenly spotted Dr. Daniels in the audience. He was one of the guests and for some strange reason no one seemed to be talking with him! I went up to him and immediately started speaking with him, about his watches, why was he here, etc, etc… It was an exhilarating 10 or 15 minutes that we spoke. He asked me to write to him and let him know what I was working on. When I asked for his address, he just said “The Watchmaker, Isle of Man”!!! I did’nt get down to writing to him, but it was the impossible dream come true to meet the man from whom I learned so much and still inspires me every time I pick up his masterpiece – ‘Watchmaking’. ← Time Travel or Travel Time?